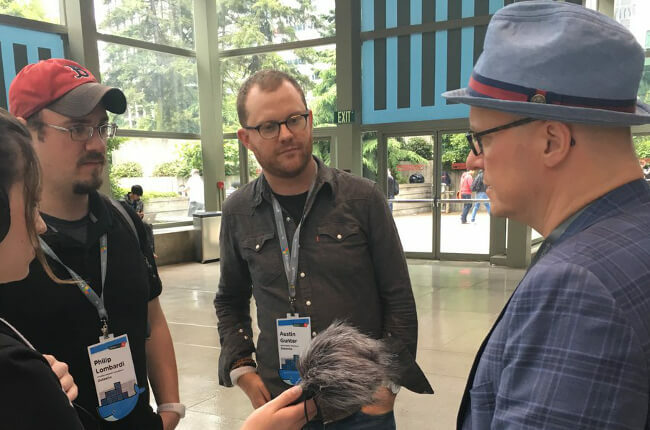 The following two episodes of The New Stack Makers podcast were taken from the show floor at DockerCon 2016, held last month in Seattle. We interview reps from microservices software provider Datawire and infrastructure management software provider RackN. In the first interview, Rob Hirschfeld discussed how Docker’s fast-track toward its goal of becoming the new standard for containers may have also led to an irreparable rift in the developer community. The conversation may also be heard on YouTube. There has been recent discussion not only of a possible Docker fork, but of how Docker speaks about and to the community it claims to represent. Rather than a communal sense of accomplishment, Docker’s enthusiasm surrounding the announcements made at DockerCon 2016 seemed presented in a self-congratulatory fashion, rather than about celebrating the community as a whole, Hirschfeld charged. RackN focuses on allowing users the ability to create their own hands-off hybrid infrastructure, tooled to their unique use cases. RackN focuses on getting developers away from micromanaging their stack, and back to writing code. In another interview, embedded below, Datawire Community Developer Austin Gunter and Datawire Senior Software Engineer Phil Lombardi described how microservices and Datawire‘s supporting toolkits can help developers streamline their workflow. While many of today’s enterprises are considering making the shift to a microservice-based approach, they may be unsure of how to tear down their legacy infrastructure. Which piece of a monolith should be broken down into microservices first? How do you manage service discovery when operating at scale? What Datawire hopes to help developers achieve is to spend less time on operations-related system management, and more time coding. “That means basically giving people a toolkit that’s easy to consume. When you think developers, they want code. Developers don’t want to think about how you scale and operate the actual infrastructure necessary to make microservices environments work. Give them one line APIs they can use to consume and figure out where these microservices are living together,” said Lombardi. While there are many businesses that may want to be the next Netflix or Google with microservices running their entire infrastructure, Datawire hopes that other companies will achieve similar levels of scalability by sharing anecdotes and best practices across the ecosystem. “There are companies that are thinking of adopting microservices, but not everyone has the resources to build all the infrastructure necessary to do that. One of the things Datawire is working on is collecting that real world advice for people that have done it at scale,” Gunter explained. Feature image: Datawire’s Austin Gunter and Phil Lombardi talk with TNS founder Alex Williams.